St.Clair sees high profile clients through difficult situations. St.Clair's comprehensive professional services includes constant updated transit and Birth Chart Analysis - a personal assessment of the planetary forces at work in your life from the time of your birth - to the future you select. St.Clair calculates astrological aspects, and from his experienced and careful observations he writes recommendations and advice ranging from professional or relocation to buy/sell issues, and to relationship questions, as well as vocational life guidance, drawing from his vast knowledge of astrological influences. 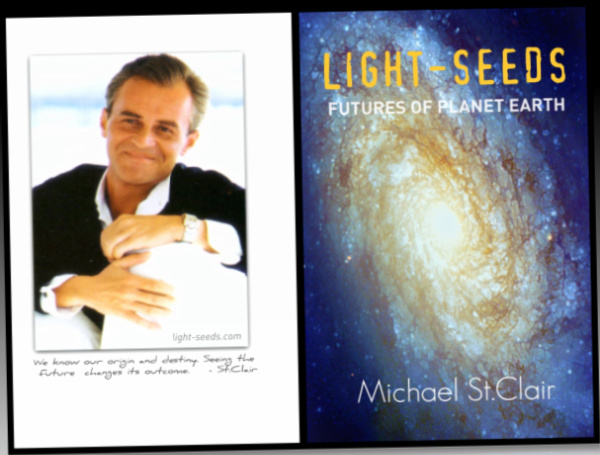 St.Clair has an in-depth understanding of how planetary forces interact with each complex chart. Depending on the time involved and the complexity of the issues the fees for a professional consultation is 1,100 euro. For more complex and involved chart analysis, with many more questions, St.Clair estimates his fee on time needed for the work involved. You can contact St.Clair by email for further details of his services. For a chart analysis send your place and date of birth, and the time of your birth. St.Clair, a prodigy child, was born in Zurich, Switzerland on 28 February 1959. He studied law and political sciences at Zurich University and served as a Swiss army officer - assisting a general - before leaving Switzerland and beginning his career advising high-profile clients in special situations world-wide. While he applied his knowledge as a strategic astrophysicist, he built a steady record of vast and highly accurate economic, social and political predictions, for which he is esteemed. See The Future - NewMind Technologies.